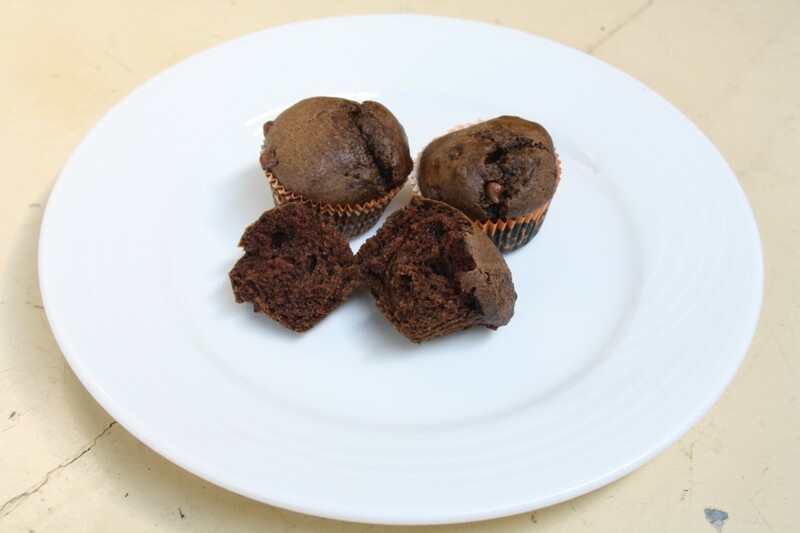 Next in the Mini Bites series I have these delicious Eggless Butter less Banana Chocolate Muffins. As you must already know my kids love anything chocolate and I had some very ripe bananas which were begging to be used. So I thought I should address both in one shot and that’s how this muffin came into being created. I don’t actually think I should deprive my kids their share of butter or Ghee. Infact I remember my kid’s pediatrician telling me that I can give 2 tsp of ghee to the kids without fearing. We always make sure we add ghee to their dal rice and any curry that they like to eat. So you know it’s only natural I never think twice about adding butter to the baked dishes. It so happened that I didn’t add and was surprised that the muffins turned out quite well too. This is seriously such a simple recipe to get done that you will not believe once done. I didn’t bother to take step by step as I have already taken enough recipes, check these Eggless Vanilla Muffin for step by step pictures. I pretty much did the same way. The recipe is very straight forward mixing and baking, no beating or creaming required. This recipe might again look like a repeat of previous muffins on the blog, but I want to record every small change I have done to a recipe and that which came out prefect. Measure cornflour in a cup and add the flour over it. Then shift it together with cocoa and cooking soda. Add in icing sugar. Make a puree of the banana. Fold in the banana puree into the dry ingredients and gently combine everything together. Then add the milk. Line the muffin tray with liners spoon in enough to fill half of the cups. Bake for 12 mins at 185 degree C first and then at 155 for 3 mins. Allow it to rest for 10 mins. You might wonder at the shapes and the number. Though I got about 12 min muffins, they disappeared before I could even set the scene. I was left with only these for the picture..I guess that’s really good right. Loving your mini bites series. They look cute Valli. Wowwww… looks so delicious and tempting.. Wonderful addition of corn flour and chocolate Valli ! and a very simple recipe too ! They have come out perfectly well for you.It's soft and moist..cheers !! 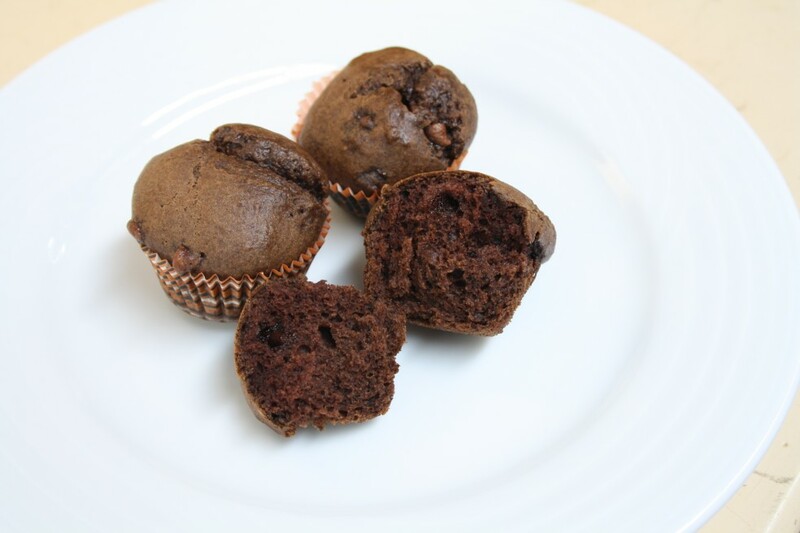 Definitely healthy muffins, looks awesome;. simple..easy n choclateeeeeee…n guilt free:))wat more can we want! !